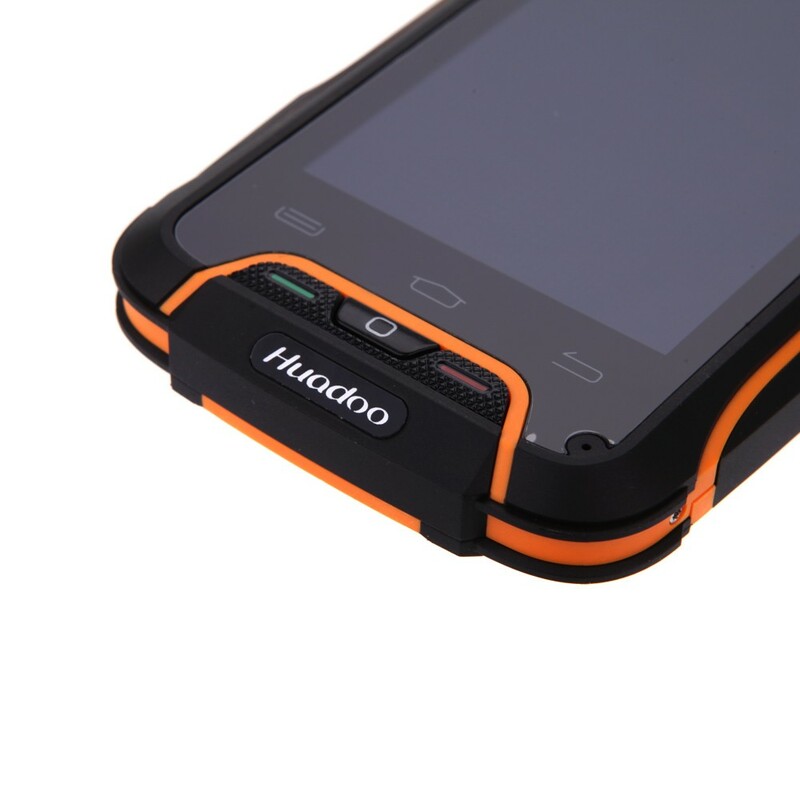 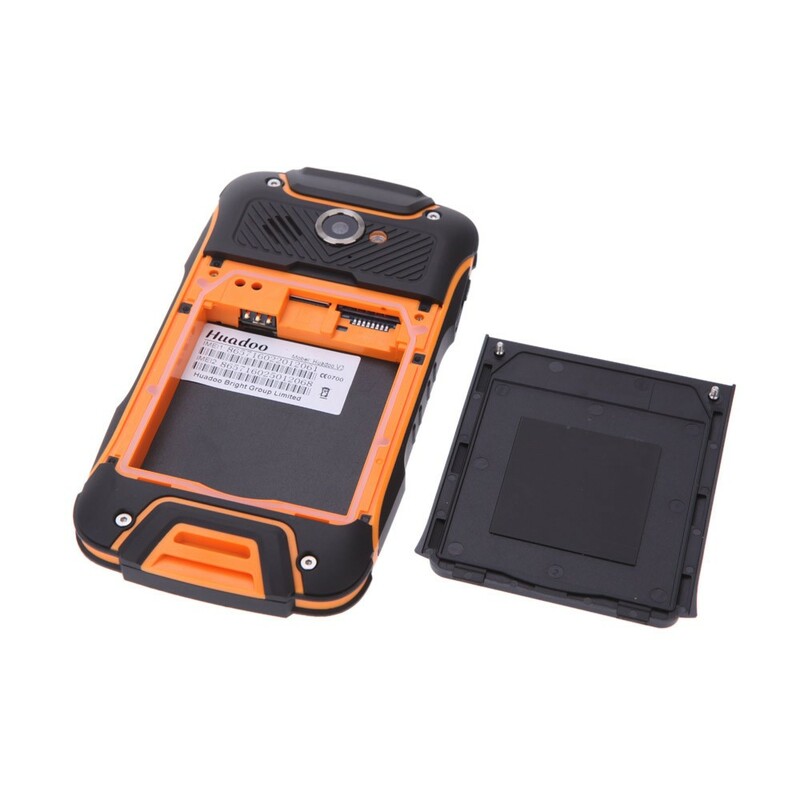 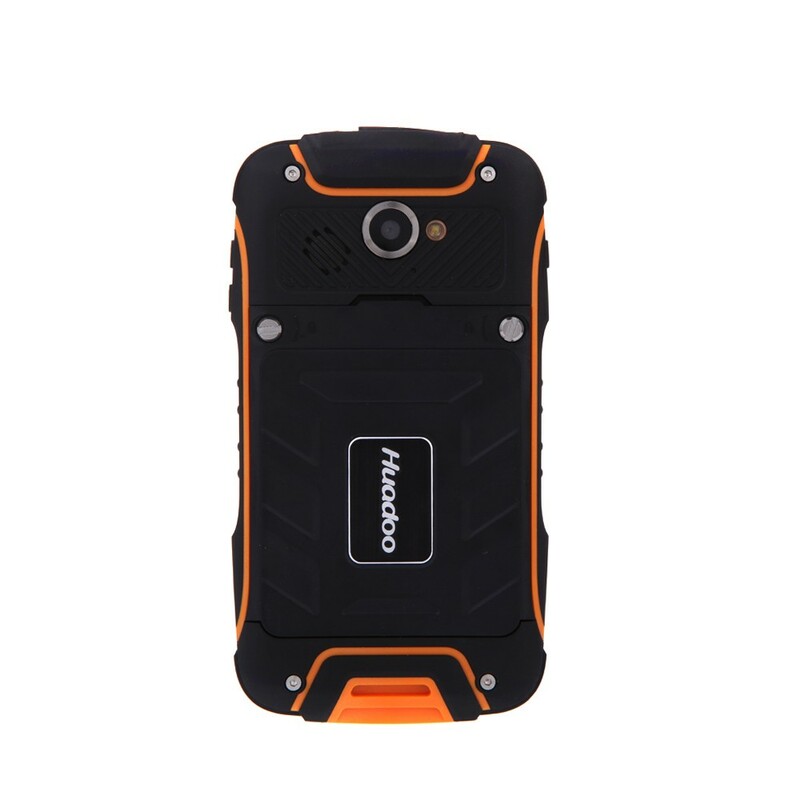 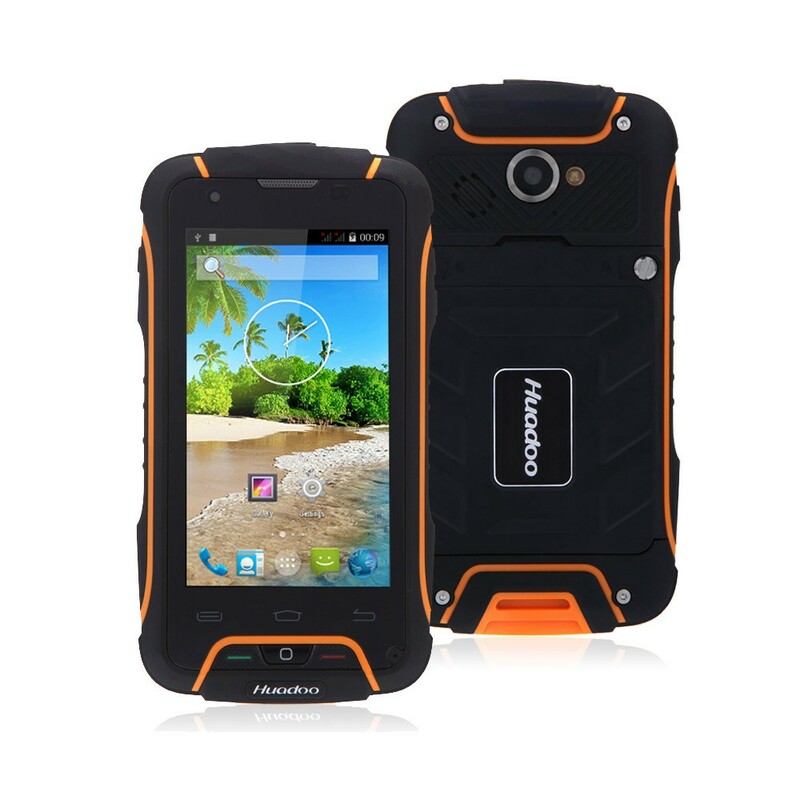 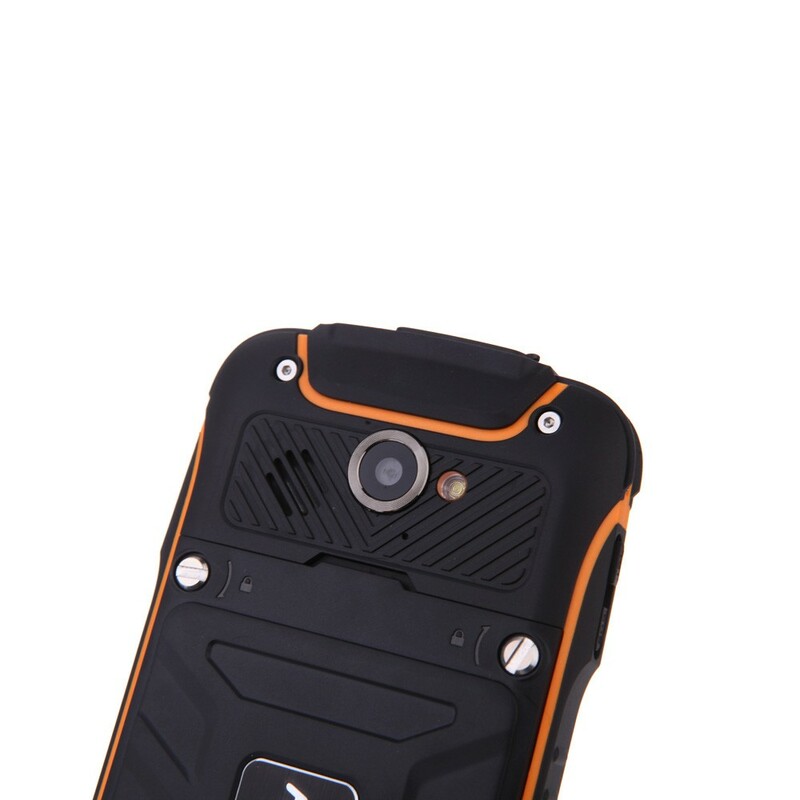 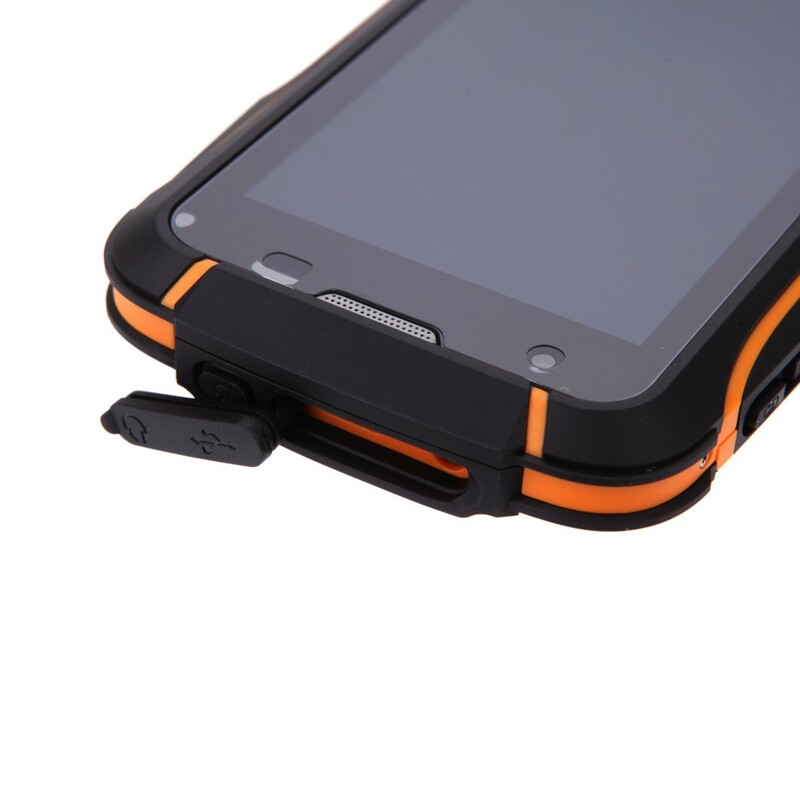 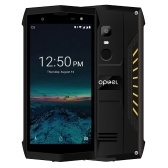 IP68 Waterproof Dustproof Shockproof Rugged Outdoor Mobile Phone. 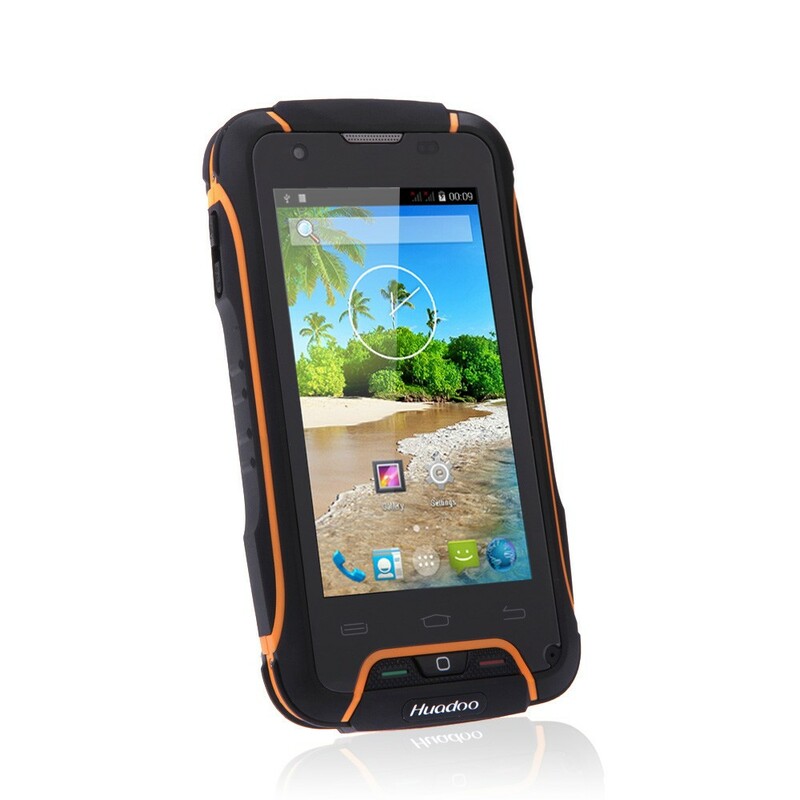 4" OGS 480 * 854 pixels capacitive touch screen, quite sensitive. 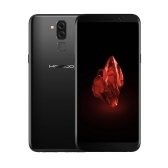 Dual Cameras, 1.3MP front camera, 8MP back camera with flashlight and auto focus. 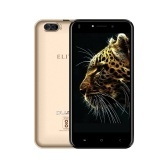 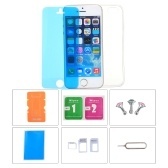 1GB RAM 8GB ROM and support micro SD card up to 32GB extended. 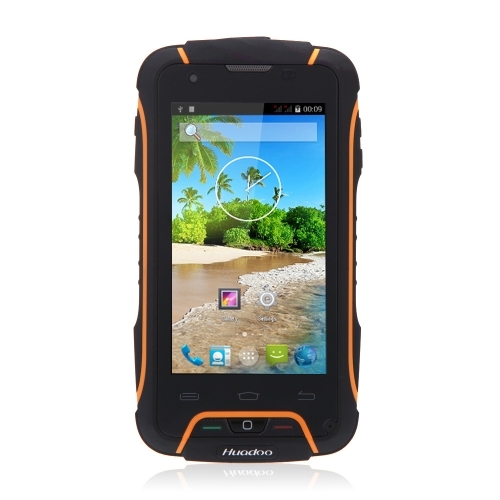 MTK6582 quad core CPU, 1.3GHz Android 4.4. 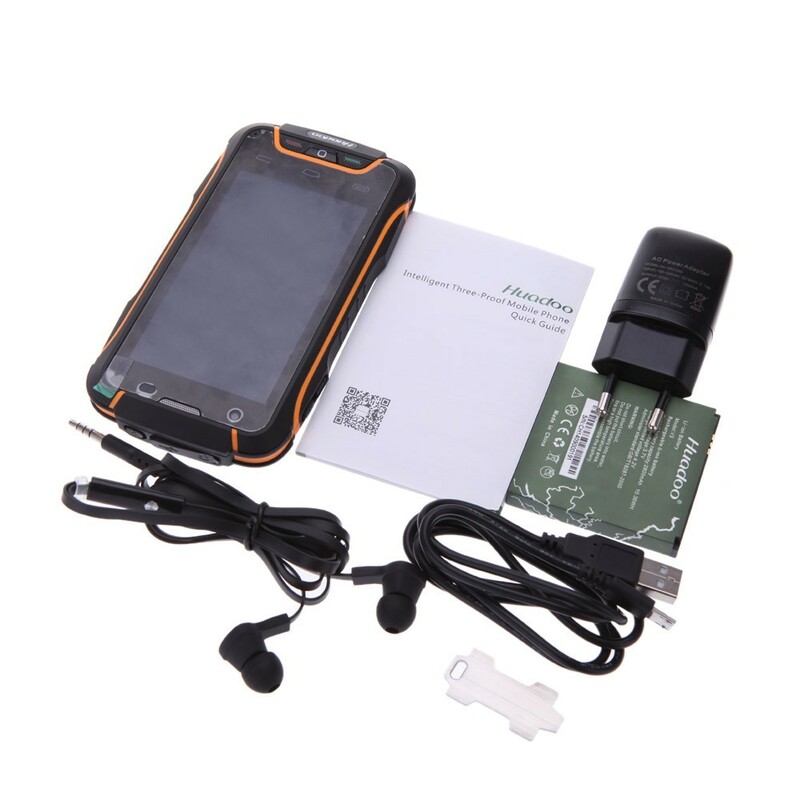 Support Light Sensor, Gravity sensor, Proximity sensor, 3G, WIFI, Ebook, Email, Messaging, Wallpapers, Calendar, Calculator, Clock, etc. 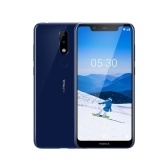 English, Russian, German, French, Spanish, Italian, etc. 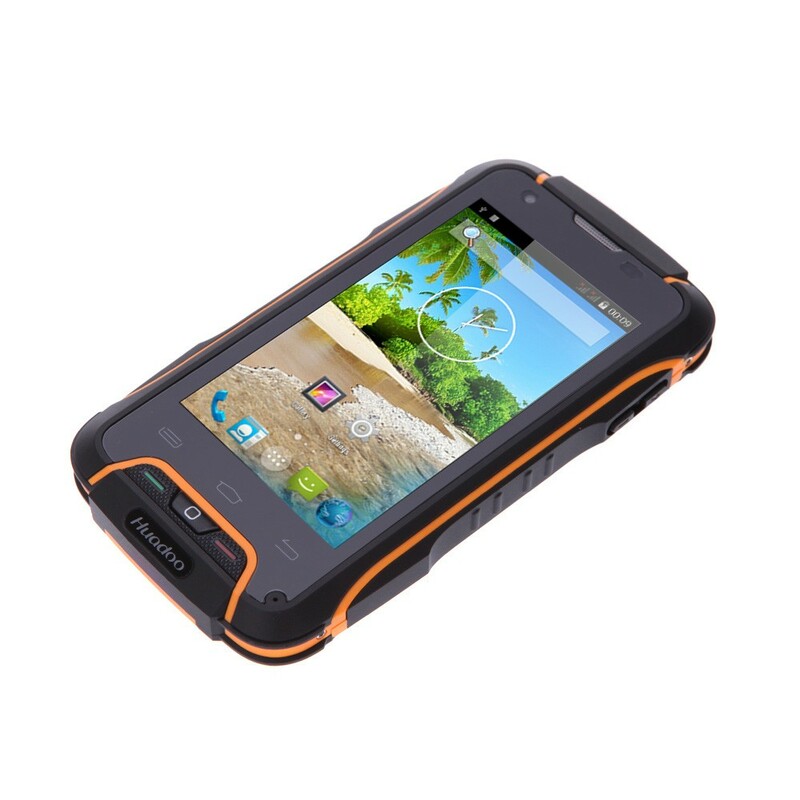 Other Features IP68 Waterproof, Dustproof, Shockproof, 3G, WIFI, Ebook, Email, Messaging, wallpapers, calendar, calculator, clock, etc.